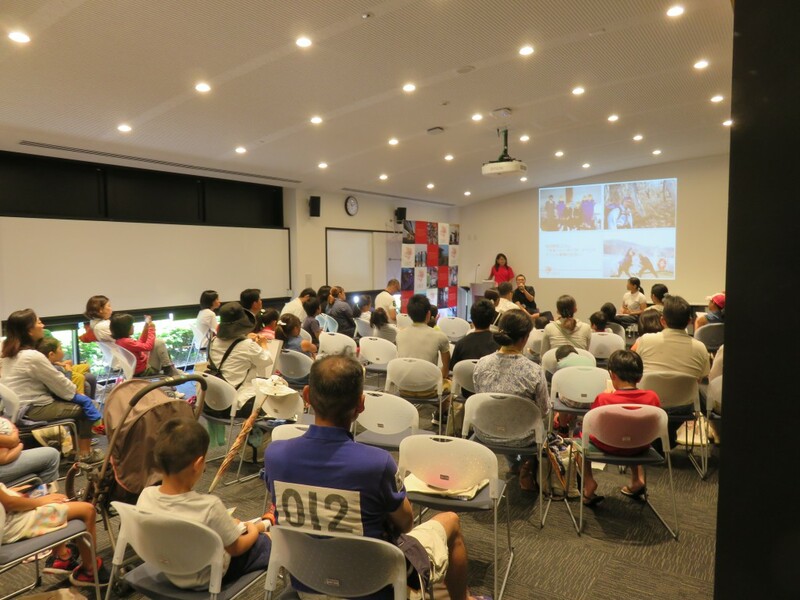 Following on from the success of Dr Yoshimura’s column in the Ryukyu Shinpo, OIST hosted a joint event on Sunday 31st July featuring Dr Yoshimura himself. Attendees were able to meet Dr Yoshimura, listen to his experiences as a researcher both in Japan and overseas in the USA, and learn how to use a magnifying glass to spot different types of ants. 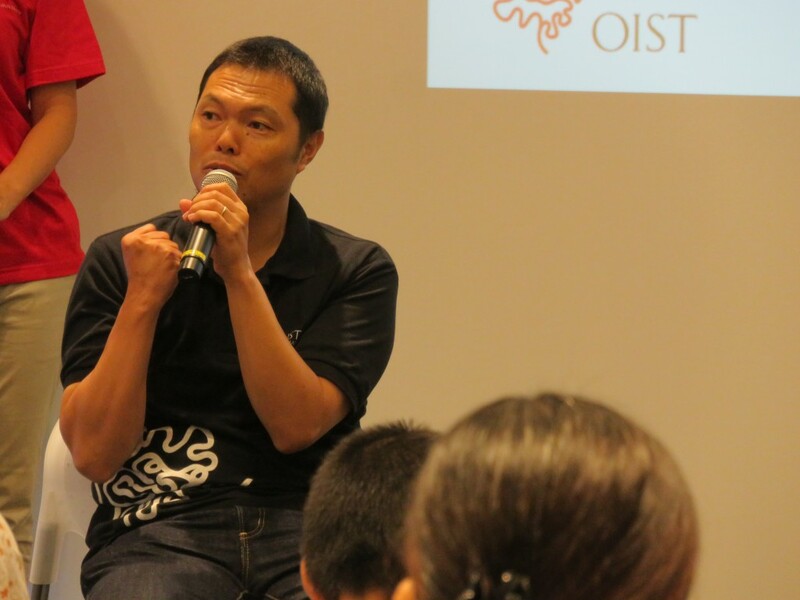 Dr. Yoshimura spoke about how he became a researcher, and in particular why he became interested in ants. He discussed his experiences moving to San Francisco, working as a researcher and the difficulties he faced. One of the ways that Dr Yoshimura coped living in the USA where there was limited funding for researchers was by starting a one-man band, the Male Ants Project, and earned extra money by busking. 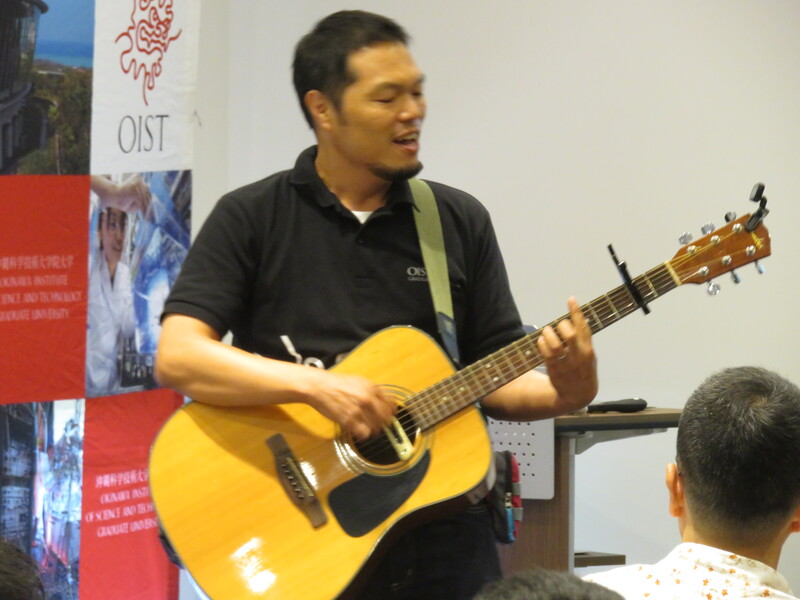 Event participants were treated to a performance by Dr Yoshimura of the popular Sukiyaki song. 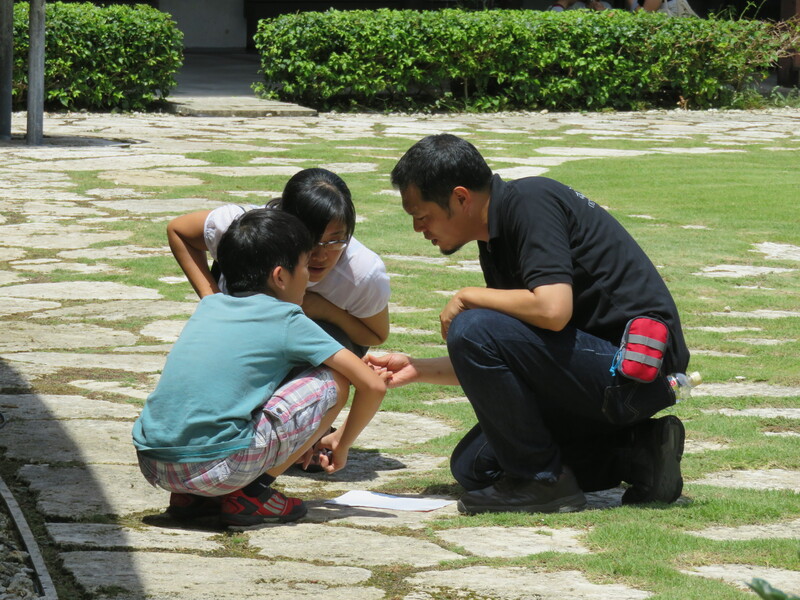 After the talk, participants were taught how to use a mini microscope to investigate which creatures were in their own surroundings, starting with the Inner Garden at OIST. Children who were already interested in ants or looking for a topic for their summer research project had the opportunity to hear from an expert researcher. Over 50 people attended, and the event was highly successful, with children, parents and university students alike engaged and interested.